Born in Delhi, Dr. Vijay Rajput learnt early lessons of music under teachers such as Pt. M. G. Deshpande, Pt. Vinay Chander Mudgal and pt. Madhup Mudgal ji, and then had the opportunity of receiving the tutelage of Bharatratna Bhimsen Joshi for many years. 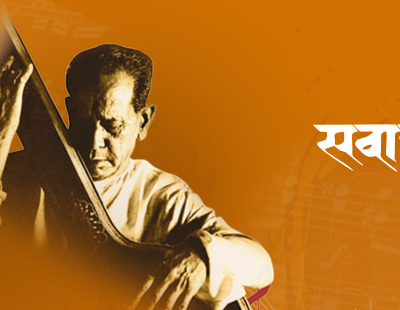 A world-renowned exponent of Khayal style of music; his performances in many festivals have mesmerized audiences. 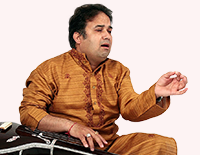 He holds M.A., M.PHIL, and PH.D in Hindustani classical music, and is a visiting faculty at Newcastle University, Leeds collage of Music and VOICE (Education project of VHP (U.K.)). He resides in Newcastle upon Tyne in the north east of England. He has received KALA JYOTHI award in 2010 for his excellent contribution in educating and promoting classical music in the North East of England.